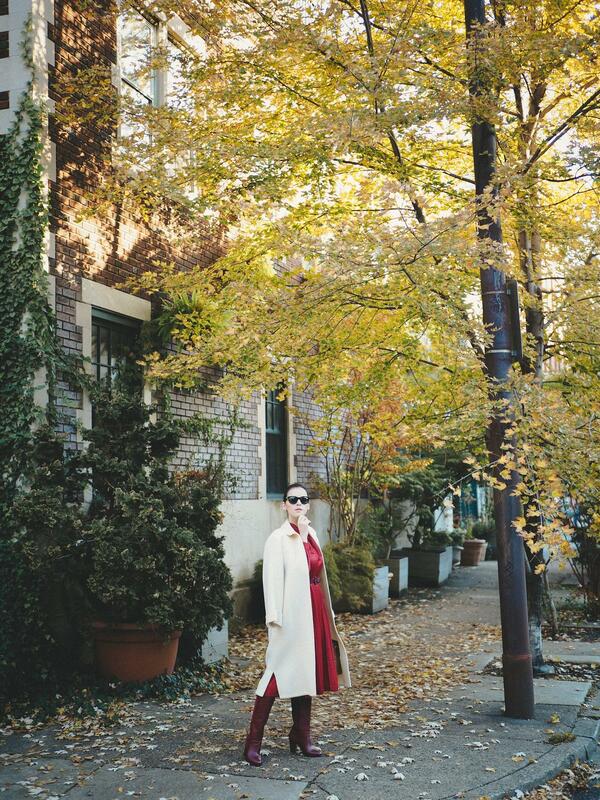 Coat Weather is officially here, there is no doubt. 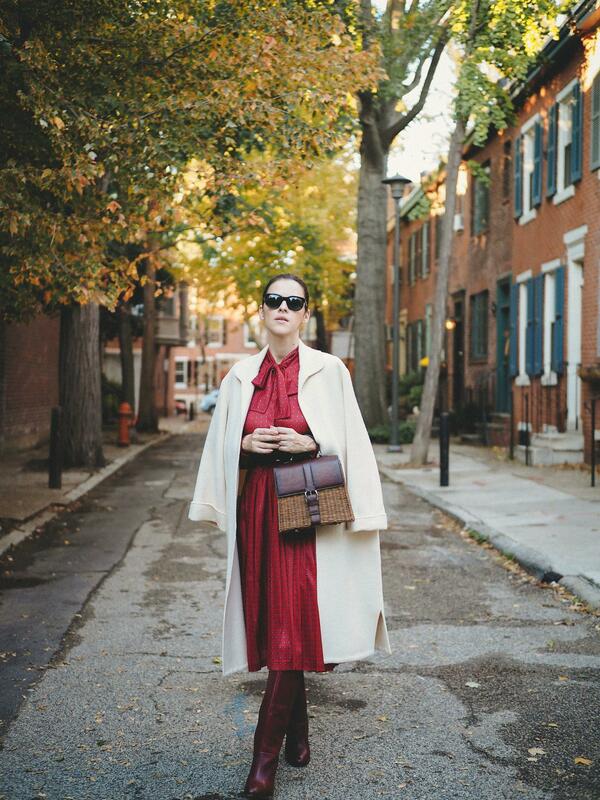 I can finally start wearing one by one my vintage coat collection and in today's post, I have styled this cream Valentino, one of my most favorite for its simple cut and color. 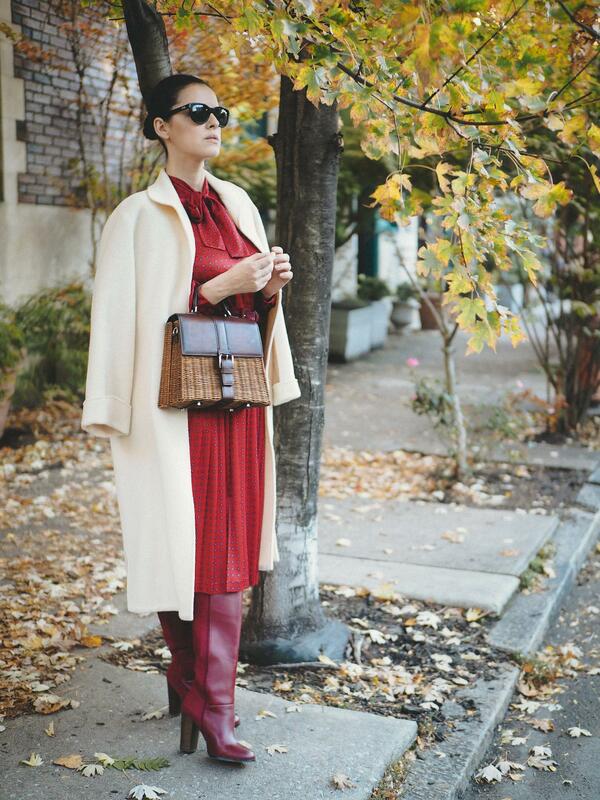 Also vintage is this red bow tie dress, and I paired it with burgundy boots, and again this straw & leather bag. Voila! 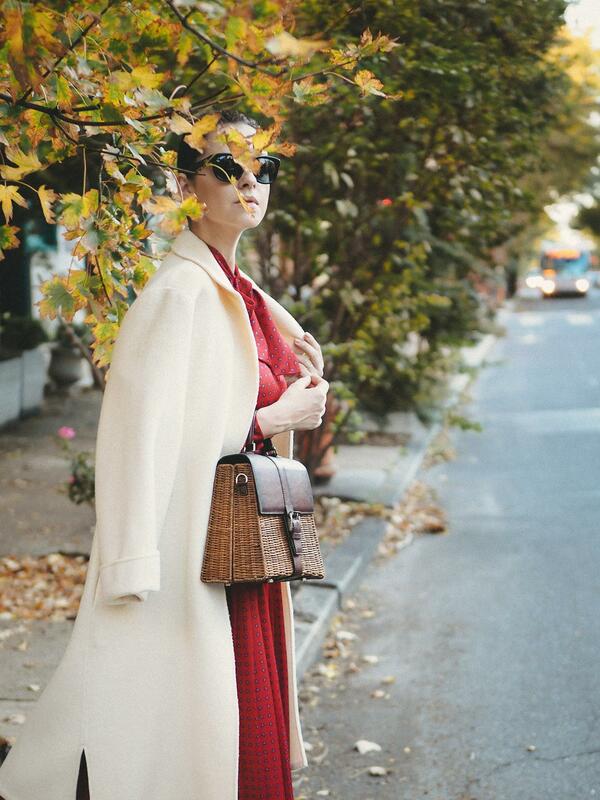 Feminine and classic style for the win!